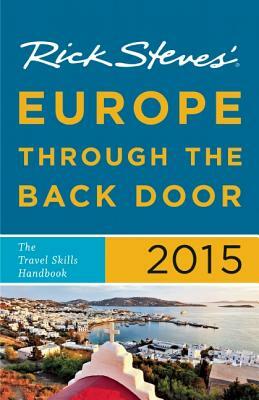 After 30 years of exploring Europe, Rick considers this travel skills handbook his life's work. He shares his favorite off-the-beaten-path towns, trails, and natural wonders. With this guidebook, you'll experience the culture like a local, spend less money, and have more fun. Rick Steves has spent 100 days every year since 1973 exploring Europe. Rick produces a public television series (Rick Steves' Europe), a public radio show (Travel with Rick Steves), and an app and podcast (Rick Steves Audio Europe); writes a bestselling series of guidebooks and a nationally syndicated newspaper column; organizes guided tours that take thousands of travelers to Europe annually; and offers an information-packed website (RickSteves.com). With the help of his hardworking staff of 80 at Rick Steves' Europe, Inc.--in Edmonds, Washington, just north of Seattle--Rick's mission is to make European travel fun, affordable, and culturally broadening for Americans.